NEW ELECTRICAL, NEW BOILER, DETACHED CARPORT, SUN DECK, SCREEN PORCH. LOT- APPROX. 1/2 ACRE, WONDERFULLY LANDSCAPED, HUGE TREES, PARTIALLY FENCED BACKYARD FOR PETS. 1970's river front home on approximately 11 acres. "One of North Carolina's Premier Estates"
Home Combines Bravura Architecture with spectacular mountain setting! Home Furnishings and Deco will be sold with the home. 1 home & 4 mobile home rental lots, outbuildings etc. 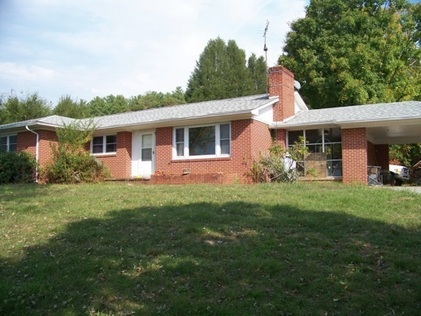 1960's Brick Rancher approximately 1700 Square Feet on 4 Acres. Basement, detached garage/workshop and additional out building. Farm Equipment, Remaining Home Furnishings, Auto, Gun,Etc.